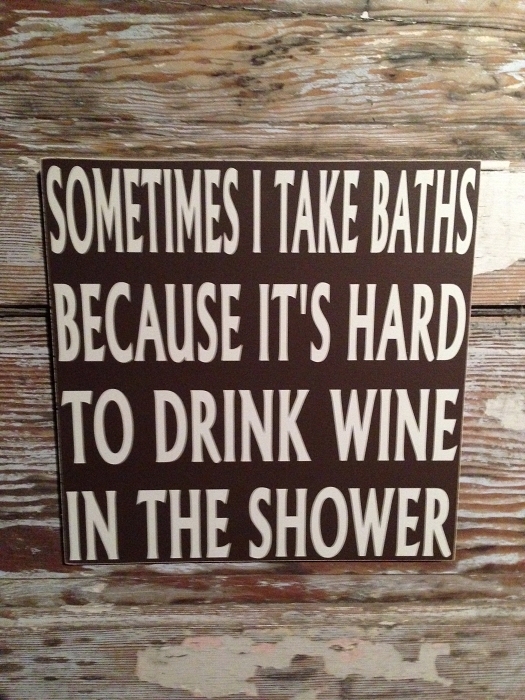 Sometimes I Take Baths Because It's Hard To Drink Wine In The Shower. Very nice and item shipped quickly. Thank you!